Mornings are getting chillier. You can feel summer winding down, and we’re about to turn the corner into one of my favorite seasons. 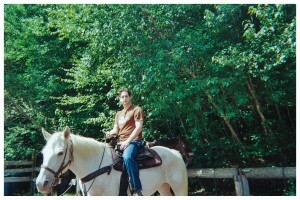 Last weekend, I went horseback riding with Donna throughout some wooded trails here in Connecticut. 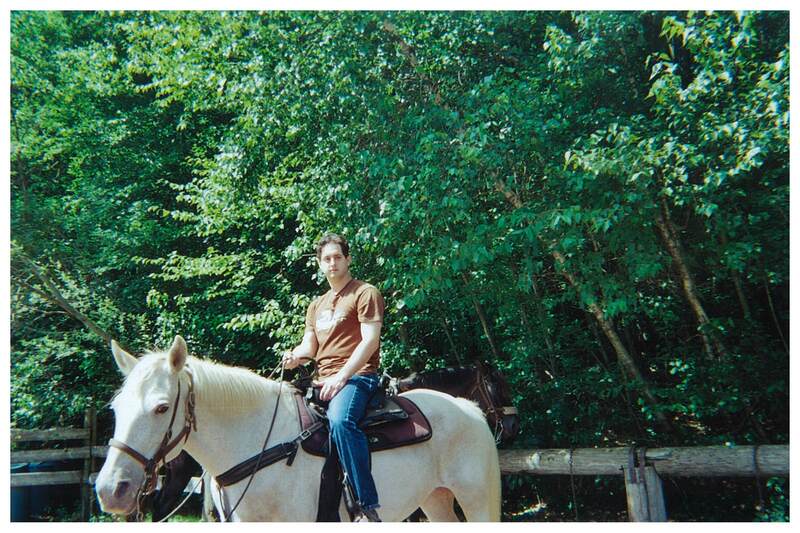 It had been a few years since I’d done that, and of course I imagined I was astride Pegasus for a while… before I realized how impractical it would be to actually ride a winged horse. Forget about inertia for a moment; where do you hang your legs while its feathery wings are beating the air? Oh, I have a new Public Profile on Facebook . I’ll be using it, and of course this site, to discuss some new film and writing projects I’m involved in.found beneath the ashes. Watching this Week: The Man Who Knew Too Much, The Shape of Things, and The Treasure of the Sierra Madre.